Hey dudes! 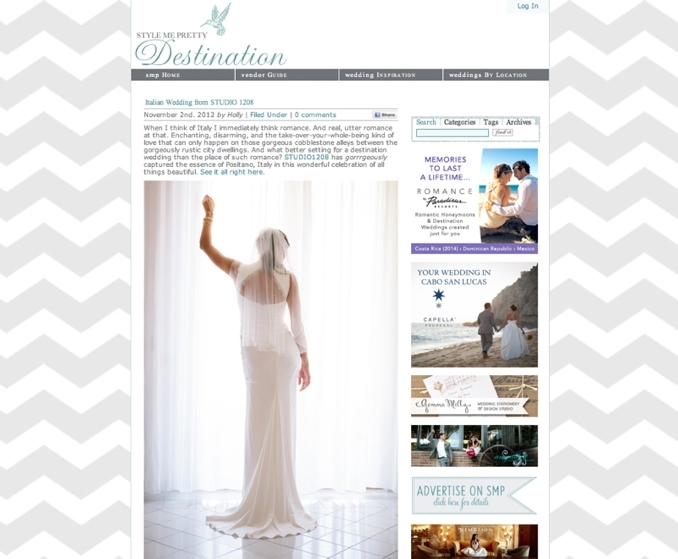 Some awesome news for this chilly Halloween day - we have been featured on Style Me Pretty Destinations for Megan and Jeremy's gorgeous Positano, Italy wedding! It's nice to re-live the warm Italian trip, while we freeze our butts off over here...Head over to SMP to see the full feature and make sure to comment and tell Megan how gorgeous she looked! If you missed their special coming soon film that we did, make sure to check it out here - we have never done one like this, and loved how it turned out!